Many emotions go along with owning your own company. From the excitement of opening your doors the first time to dealing with chaos in the office, running your business will be enjoyable sometimes and cause much frustration other times. Do you ever find yourself being scared that you might actually succeed? Fear is one of the most common emotions that successful business owners feel when first starting out. Being afraid of success can hold you back if you don't properly deal with it. Operating any company requires risk, and it is because you are human that risk likely scares you. By talking with people who have taken a risk before, you will gain a better perspective on how to balance risk with common sense. Overcome fear and risk by having an open mind, and be willing to be a lifelong learner. The more you learn, the more you know in regards to appropriately handling different issues in business. Another common emotion tied in with running your own business is euphoria. If you have any success at all, your brain will create endorphins and cause you to feel extreme pleasure. And while euphoria is a great motivator to help you continue your success, you must remember that running a successful company requires a daily effort. Just because all of your clients are satisfied on one day does not mean they will all be satisfied the next. Be prepared to make changes as needed. Frustration can be minimized by taking time out of each day to focus on yourself. 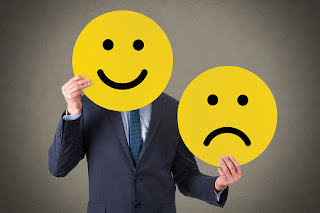 If you're not happy, neither will your customers. If you find yourself frustrated, take a step back and give yourself a moment to clear your mind. Clarity is essential to overcoming the frustration that is tied in with chaos and change. Dealing with the emotions that go along with operating your own business is key to keeping your company afloat. By following the tips mentioned above, you'll be much more likely to run a business that brings you much success and joy.